The legendary Whammy pedal is the premier pitch-shifting pedal for any guitarist's board, and it only gets better with time. In addition to the classic Whammy sound, DigiTech has added chordal Whammy pitch-shifting and true bypass. Whammy artists have won over 60 Grammys(R) using its unique pitch-shifting sound to enhance their music. Its songs echo the hallways of the Rock & Roll Hall of Fame and generate acclaim on over 700 million albums around the world. 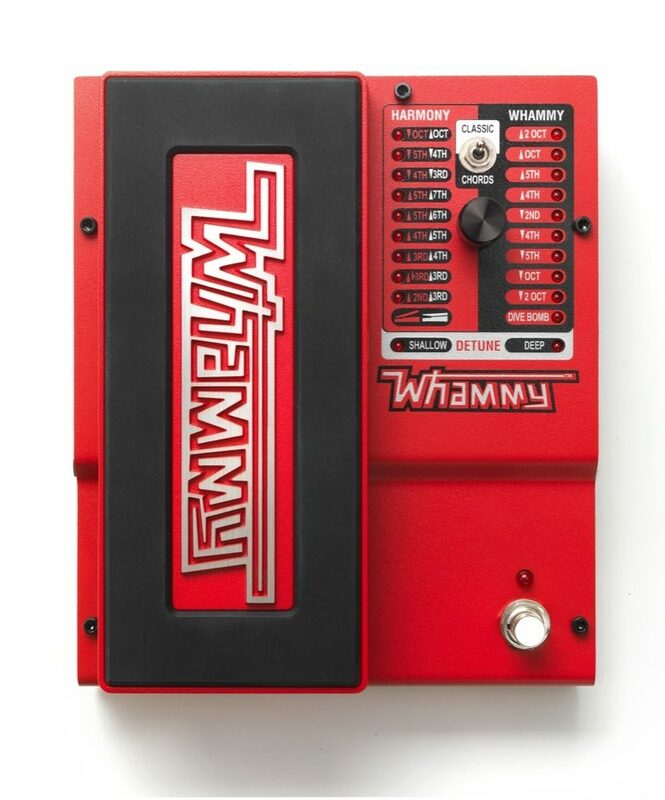 There is no doubt why Whammy is one of the most common sights on guitarists pedalboards. The Whammy can bring depth to your artistry. Turn your solo into raging, rebellious screams of tone or tame your crowd with highly expressive, ambient chordal bends. Energize your audience with a scratchy note frenzy, bring them in and out of the sound tunnel with musical bursts, or carry them through an existential exploration of full-fretboard pitch translation. 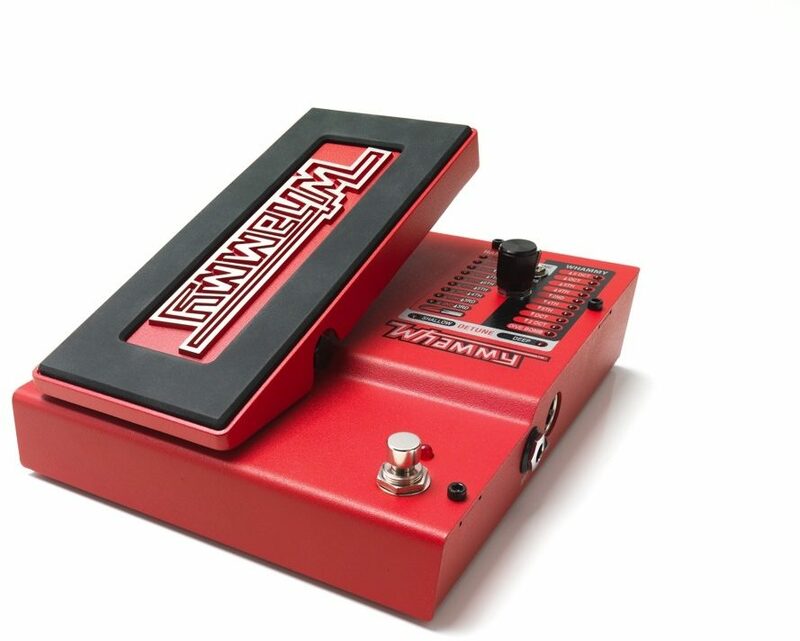 The Whammy puts expression into the expression pedal. Don't be the last guitarist without a Whammy! zZounds is an authorized dealer of DigiTech products. The whammy pedal is one of the most easily recognizable sounds of the past few decades, and for good reason. You can set this DigiTech Whammy to Classic mode to tap into all of the great octave-up screams that the pedal is most famous for, or experiment with other intervals too. My favorite aspect of this pedal is the other mode: the Chords setting. This enables the DigiTech Whammy to act like a harmonizer pedal, which beefs up chords and gives you sounds that would otherwise be impossible to play with only four fingers. Try experimenting with basic chord shapes while this setting is activated, and see what happens! This is a good addition to your pedal arsenal, and though it seems simple enough, the possibilities for new sounds are endless. "This is like my 3rd Whammy pedal...."
Overall: Finally got another Whammy V after missing my prior one in a "stupid-sell all-great new multi unit dumb idea". Not sure what to say about this pedal as it would seem of the many vids I have seen on it, I cast doubt if anyone really can understand how to use it without having one for a time. 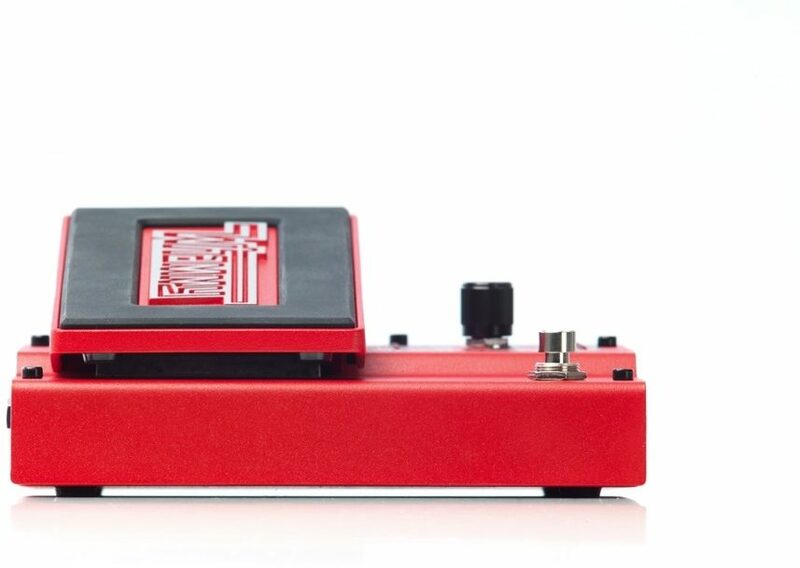 I constantly hear this "weeeeoooo" thing and really that might be of use now and then but what nails this pedal for me is the harmonizer mode section. 8va's and 4ths,5ths, utterly amazing. This is not so much a moving the pedal thing as everyone seems to want to do. Most of th etime mine is parked up or dwn for a specific harmony or maybe a sweep of low to high octave, play a version of Dazed and Confused using this and you may just never be the same. The lowered 5th harmonizer mode on this puppy is probably one of the best all time tones I have ever had the pleasure of playing. A harmonizer, with no set key or scale restriction, polyphonic tracking, true bypass, I'd pay more just for that. The DT model is cool but I am not really doing step tuning variants. Anyway, this pedal is sooooo much better than what you will hear being done on typical vids. Mastering this puppy will afford you a range of really cool tone possibilities nothing else can muster. Those who hate this pedal suffer from the terrible videos of it or the old models that glitch and burble from only being monophonic tracking. The buffer has been removed and this is improved poly tracking tech! Full bandwidth 1M ohm and out. Simply no comparison tech wise to the previous models. "DigiTech Whammy Pedal with True Bypass"
Overall: This is my 3rd Whammy and I love this pedal. The new 5th generation with true bypass and polyphonic tracking is just superb. I tend tend to use the harmonizer modes on this more than the note shift modes. A 5th/4th up or dwn is a marvelous tone, no glitching or tracking error like the previous models. Best harmonizer unit there is, no set key, no locked scale, complete freedom of expression. So many features and uses apart from the worn out weeeeooo thing too many do. A great pedal, a heavy fusion masterpiece.